ORLANDO, Fla. (Feb. 12, 2019) – Wyndham Destinations (NYSE:WYND), the world’s largest vacation ownership and exchange company, today celebrated the extension of their sponsorship of Richard Petty Motorsports through 2020. As the longest serving hospitality sponsor of the team, Wyndham Destinations will continue supporting “the King” and driver of the iconic #43 car Darrell “Bubba” Wallace, Jr. for the vacation company’s 19th and 20th years as a sponsor, starting with the season opening race – the Daytona 500 on February 17. Wyndham Destinations offers its owners a lifetime of vacations at the company’s more than 220 vacation club resorts, the largest portfolio of timeshare properties in the world. Whether it’s living your bucket list with Club Wyndham or finding more time to share at WorldMark resorts, the company offers vacation owners the opportunity to enjoy a flexible, points-based vacation club that provides endless opportunities to travel to top global destinations. As an active owner with Wyndham’s vacation club resorts, Richard Petty makes it a priority to vacation with his family several times a year. Wyndham Destinations (NYSE:WYND) believes in putting the world on vacation. As the world’s largest vacation ownership and exchange company, Wyndham Destinations offers everyday travelers the opportunity to own, exchange or rent their vacation experience while enjoying the quality, flexibility and value that Wyndham delivers. The company’s global presence in 110 countries means more vacation choices for its four million members and owner families, with 220 resorts that offer a contemporary take on the timeshare model – including vacation club brandsClub Wyndham®, WorldMark® by Wyndham, and Margaritaville Vacation Club® by Wyndham – 4,300+ affiliated resorts through RCI, the world’s leader in vacation exchange, and 10,000 rental properties from coast to coast through Wyndham Vacation Rentals, North America’s largest professionally managed vacation rental business. Year after year, a worldwide team of 25,000 associates delivers exceptional vacation experiences to families around the globe as they make memories to last a lifetime. At Wyndham Destinations, our world is your destination. Learn more at WyndhamDestinations.com. 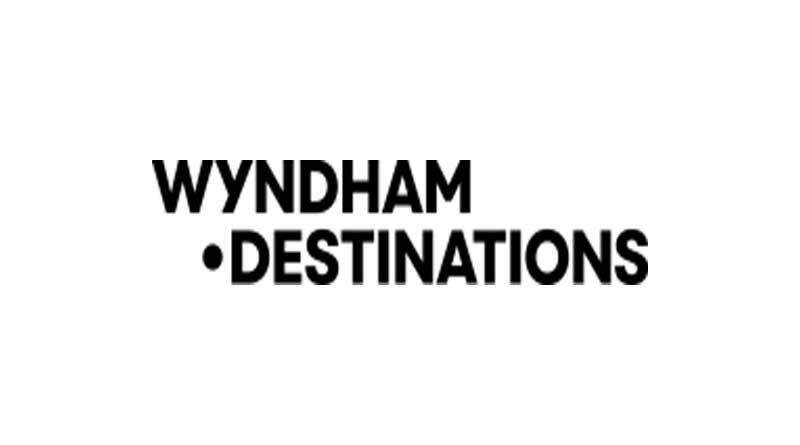 Connect with us on Twitter: @WynDestinations; Facebook: @WyndhamDestinations; Instagram:@WyndhamDestinations; YouTube: @WyndhamDestinations; and LinkedIn: @WyndhamDestinations.